Are you looking to drop a few pounds? A lot of us are, but the idea that you have to run for miles at a time or do a cross- fit style circuit 4x/week to lose weight may scare folks away from exercise before they even start. Other common excuses include: “Exercise is too hard” or “I don’t have enough time” or “My joints hurt too much to exercise”. Luckily, if done correctly, you CAN LOSE WEIGHT BY WALKING. If you learn how to walk and lose weight, you may find that not only do your clothes fit better, but things like blood pressure, joint pain, and energy levels also improve. Walking is a great exercise for many reasons: it can be done anywhere, it’s gentle on the joints, it can be done socially, and it BURNS CALORIES! 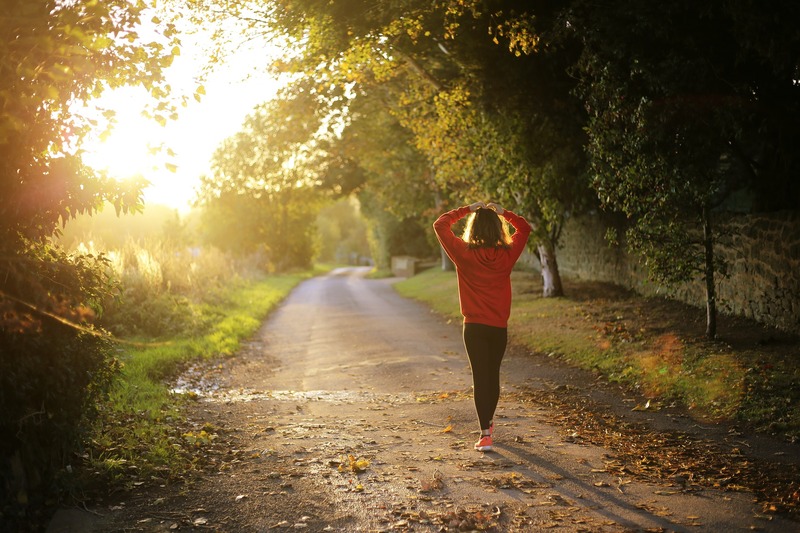 Walking should not be looked down upon as a lesser exercise, like any other activity, it burns calories that can ultimately lead to burning fat. Let’s take a quick look at how and why we lose weight when we exercise correctly. There really shouldn’t be any mystery to losing weight. It really just comes down to the numbers. How much energy (calories) am I consuming and how much energy am I using during the day? If we are consuming more calories than we are expending, then the result will be “stored” calories, in the form of fat. On the other hand, if we are expending more energy than we are consuming, our body will have to start burning some of it’s “reserves” to keep up, i.e burning our stored fat…this is how we lose that unwanted fat around our mid-sections and hips and chin and…everywhere really. Oh, I’m using the words “calories” and “energy” interchangeably…that’s because they are the same thing. A calorie is just a measurement of energy. Remember from school the whole “heating a gram of water by 1 degree C” thing? Yeah, it never made much sense to me either. Than there’s the issue that when you go to Europe and the food is measured in kcal. If a kcal is “1000 little calories” does that mean everything I eat in Europe is 1000x the calories it is over in the U.S.? Luckily, no. Technically speaking, all food calories are kcals…in the U.S. we just like to use the term “calorie” instead…same thing though. So, back to energy in vs. energy used…long story short, if you burn more calories than you eat, you will lose weight! Our bodies are burning calories 24/7 just keeping up with all the energy demands our bodies have during the day. This is our resting or basal metabolic rate. These are the calories (or energy) our bodies burn just to keep us alive. Things like repairing cells, keeping a heart beating, keep lungs working, thinking, etc all require energy. Any physical activity we choose to do, burns ADDITIONAL CALORIES. This is where exercise becomes very helpful when trying to lose weight. We are increasing the energy demand on our body when we exercise and this is going to force our bodies to burn more calories. More burned calories can lead to more burned fat! Guess what, walking is exercise! We burn more calories just by walking. Walking is something most of us have to do every day just to get around and perform our daily routine. Increasing the amount of time we spend walking can have a significant affect on our health, specifically with regards to weight loss. The amount of calories we burn while walking depends on a few things: primarily our weight and distance walked. Our age, gender, and speed of walking also contribute to metabolism, but body weight and distance are most important. Unfortunately, our metabolism tends to slow down as we age, but recent research suggests that this is more because of our loss of muscle mass and increase in fat mass. This means that our metabolism can improve as we age if we continue to exercise! The heavier we are, the more energy our bodies need to propel us…that’s why us guys tend to burn more calories doing the same activity the ladies are doing. We realize that walking is exercise, walking does burn calories, and burning calories leads to fat loss. The key is to find a way to incorporate more walking into your routine. If you are currently not performing any regular exercise, a walking program is a great place to start. There are many ways to do this, below I will explore a few. Pedometers have been around for a long time, but over the last few years they have come back in a big way in the form of Fitbit and similar technologies. These are basically sophisticated pedometers, machines that count how many steps you are taking. 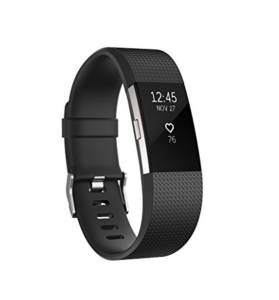 The Fitbits can do a lot more than that actually, but this is the root of their function. Keeping track of how many steps you are taking and trying to increase that number can be a great way to develop your own daily walking program. The average person with an average step-length has to take a little over 2000 steps to reach a mile. Many health professionals recommend a daily goal of at least 10,000 steps…about 5 miles. If you are a sedentary person, this is a great goal to start with. As your fitness improves, you will notice that 10,000 steps becomes easier. Progress yourself to 15,000 steps a day…go for more! See how many steps you can fit into a day and try to beat that record tomorrow. Compete against yourself or challenge a friend. If you are walking 10,000 steps a day, that’s about 5 miles- depending on your weight, you could expect to burn roughly 325 – 500 calories doing that. You can see how this can add up if you are walking every day of the week. If you don’t have a pedometer, don’t fret. Another great way to develop a walking program is to set time goals. The Department of Health and Human Services recommends 150 min of moderate intensity activity a week. Walking is considered a moderate intensity activity. That equals 30 min a day, 5 days/week. This is a good place to start if you are not used to exercising on a regular basis. Other good news, that 30 min doesn’t have to be continuous! You can break it up during the day anyway you like…3×10 min, 2×15 min, 6 x5 min…whatever works, you will still get the same benefit. 150 min a week is good, but if weight loss is your goal, I would recommend trying to bump those numbers up a little as your fitness improves. See if you can work your way up to 300 min a week, or 1 hour of walking 5 days/wk. You will definitely notice a difference. Another good way to measure your walking program is to set distance goals. Determine a daily mileage, and find a way to get it in each day. A mile a day is a good place to start. Build yourself up gradually. Every week or two add a half mile or a mile. Can you see yourself walking 5 miles a day? 10? As your endurance and overall fitness improves, you may be amazed at what you can do. If you are walking outside, it’s helpful to have a set walking course that you know the distance of. You can easily determine the distance with the odometer on your car if you are walking in streets. If you live near a middle or high school you can probably use their track for walking. Most high school tracks are about 400 meters a lap, roughly a quarter mile. If you are lucky enough to have a treadmill at home, this will be easy for you. The treadmill will keep track of your distance walked, as well as your time and an estimation of the calories you burned. Here is a list of some well reviewed, affordable treadmill options for home use. Exercise in itself is a powerful tool for losing weight, but when combined with proper diet the results will be more significant and quicker. 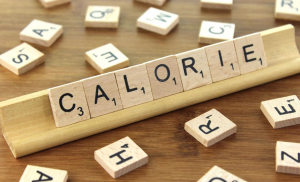 Decreasing your calorie intake will speed up the process because your body will really have a calorie deficit (be burning more calories than it is taking in). Think about what we were talking about earlier: if we spend more energy than we take in, our bodies will have to burn fat to keep up. Exercising increases the amount of calories we are burning, but putting less calories in our body to begin with increases that calorie deficit big time. Burning an extra 1000 calories a day just from exercise is difficult. Based on the walking examples above, I’d have to walk 10 miles a day to burn that 1000 calories! If you eat less calories AND exercise, it gets easier. If I decrease my calorie intake by 500 calories a day (1 Big Mac, give or take) and I walk for an hour I could be cutting 800 or so calories out of my daily intake. 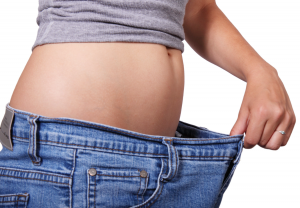 Multiply by 7 days and that is 5600 calories… about 1.5 lb weight loss in 1 wk! 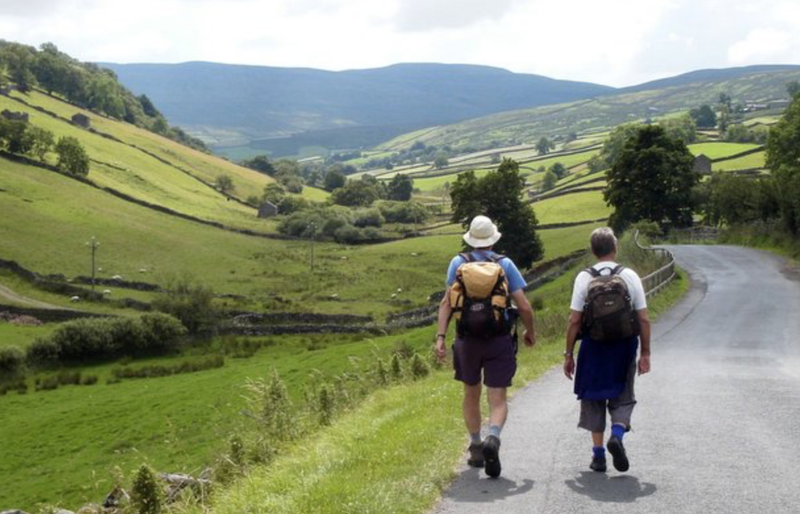 Walking is a great, gentle exercise that most of us can tolerate. We can walk outside, on a treadmill, at our office. Walking burns calories. Burning more calories than you eat will lead to weight loss. Weight loss will be much faster if you eat less calories to begin with, but you really should be able to lose some weight with walking alone. Just make sure you don’t start eating more because you are being more active, this can happen! Keep in mind that weight loss is a process and it can be challenging. Especially if you are not seeing the results you want. My advice would be to stick with it and keep a close look on the calories you are eating. We tend to eat more than we realize. Check serving sizes, they tend to be a lot smaller than the servings we like to eat. Walking is a great exercise to lose weight, but it’s also really good for your heart and the rest of your body. Improved strength, improved endurance and energy levels, just to name a few. So, get out there and start walking! Lose that unwanted weight! And make sure to hit me up with any questions or comments, I’ll get back to you soon.